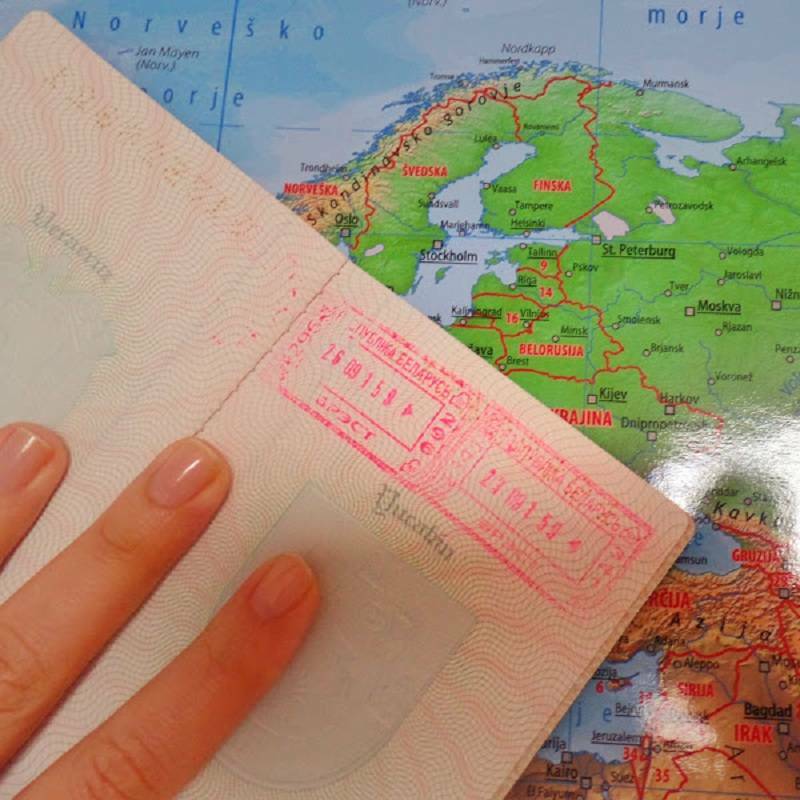 If I had to choose a favorite passport stamp, I would have to say my one to Bulgaria. I had spent over a year waiting for my acceptance to work at the U.S. Embassy in Bulgaria and my subsequent security clearance. There was so much build-up and excitement leading up to the day I arrived in Bulgaria. However, I remember landing and driving through the capital city of Sofia thinking, “What the hell have I gotten myself into here? !” It was more due to culture shock and not understanding a word of Bulgarian or Cyrillic writing. I spent three wonderful, unexpected, adventurous months in Bulgaria. After visiting over 30 countries in Europe, Bulgaria is my favorite country behind Germany (which will always be my second home). The scenery, the food, the people, the religion…I was in awe of everything. From the Balkan Mountains to Seven Rila Lakes and the Black Sea to the ancient cities of Plovdiv and Veliko Tarnovo (and capital city of Sofia! ), there is something for everyone. Bulgaria’s beauty and culture are hidden European treasures and something I can’t wait to continue visiting in the years to come. Passport stamps somehow always remind me of the border stories cause that's where the stamps are made. So here's the one. Getting from Malaysia to Thailand, I chose not that frequent border – Satun. Mostly locals use it and there weren't any other foreigners at the time, except the two of us. Since it was a sea border, the boat threw us out in the middle of nowhere, literally. The border control started rushing us so they can close the office as soon as possible. That one taxi that was waiting in front of the port left pretty quickly. Within 5 minutes, everything closed and everybody left the port. We were lost and started walking, but the road seemed endless and the night was falling down. We could only hear the monkey sounds, but really creepy ones that scared the hell out of us. It turned out that the city was miles away from that exact place. I don't know how long we would walk if there weren't some nice people that passed and picked us up. They didn’t know any English, we didn’t know any Thai. They just realized we need to find a bus station and they did everything to drop us there. Our favorite stamp is the one we received entering South Korea, after an overnight ferry ride from China. How cool is it to cross country borders on an overnight boat? 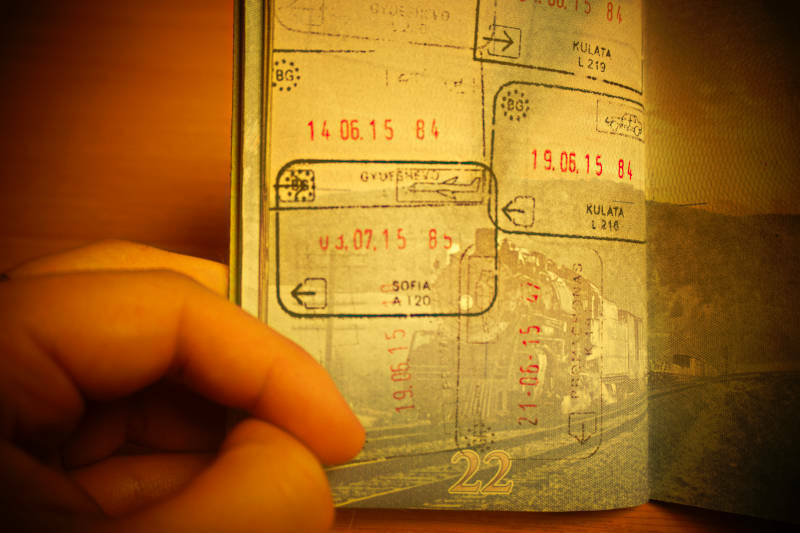 We’ve done border crossings on a train, plane, motorcycle, foot, and bus – all multiple times. But, this was something special. A gigantic, multi-level boat – of cruise-ship proportions really. Complete with a movie theaters, spas, saunas, karaoke rooms, and even a fountain. In fact, it could probably be called a cruise ship, if it weren’t for the sleeping arrangements. You see we slept in bunk beds – stacked 3 rows high like on a Chinese train. Also, no free food and booze. We were the only Western tourists on that boat; the vast majority of other passengers were part of Chinese organized tour to South Korea. This was our first exposure to being an attraction – and we were quite amused about being giggled at and asked to take pictures with. The evening we sailed from China, we sat on the deck writing in our travel journal, and as I turned around I realized that we had a very large crowd of onlookers who’ve gathered to watch us write in Latin alphabet. They were gleefully angling for better observation spots, poking each other, and taking pictures of us! “It’s all Chinese to me” expression turned on its head. Another reason that we remember this stamp in particular, is that this was the only time we were stopped on the border to inspect our belongings. Apparently, South Korea is pretty strict about bringing food into the country. We had apples, oranges, and some other fruits from China. I also stupidly denied that I had brought in forbidden artifacts with me. Oops. We got off with a stern talk and promise not to do it again. Our first overnight ferry trip was a great success and we were on our way to explore Incheon, Korea with another adventure checked off in our passports. I used to live and work in South Africa and, therefore, had a visa in my old passport. A year and a half ago I moved back to Germany, one of the reasons being that I wanted to have the means to travel more. Travel I did and very quickly I ran out of pages in my passport. Last February I was due to return to Cape Town for the first time for a photo shoot I was producing. I ordered a new passport with extra pages and it arrived just in time two days before I was due to fly (nerves!). Standing in line at immigration always makes me nervous (no nothing to declare, but still!) and this time was no different. 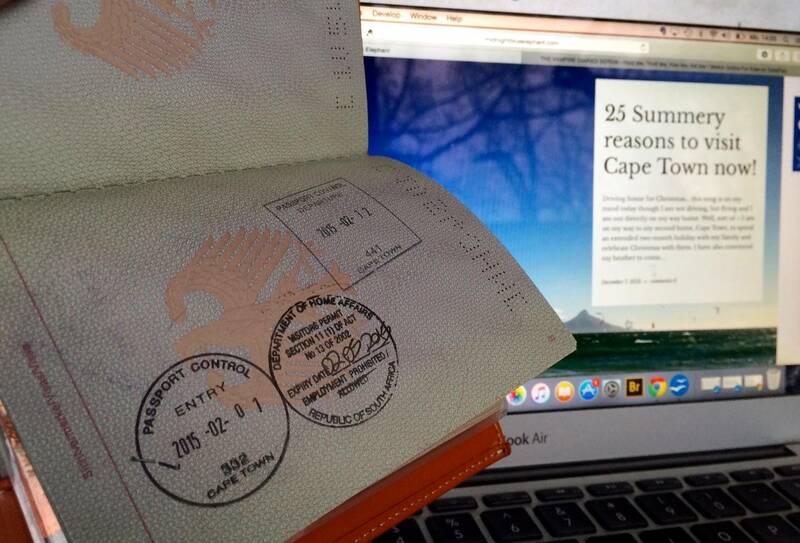 My first South African stamp as a non-resident made me a bit sad and terribly excited to be back at the same time. Definitely a more emotional stamp than many others, coming to my home away from home. 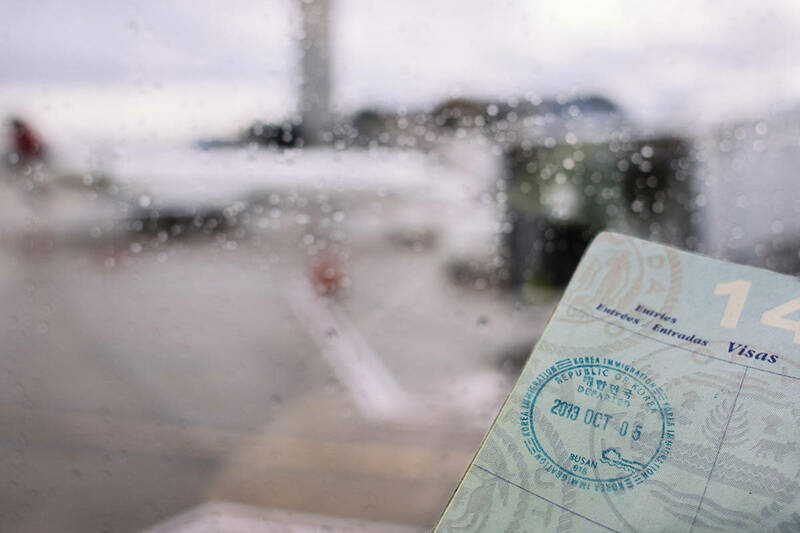 And, of course, the first stamp in a brand new passport – that's like the first page of a book: full of possibilities and stories yet to be told. My favorite passport stamp of this year was Belarus. In all honesty, I never thought I would ever visit this country and now it has become one of my favorites ever. Of course it probably isn't a must visit destination, but it's one of a kind landscapes and history won me over. The highest hill is only around 300 meters tall, and Minsk has been rebuilt from the ground up like 8 times. And don't fool yourself thinking that this little country is irrelevant. It is one of the most geopolitical strategic places in Europe, it basically connects Asia and Russia with the Western world. Seriously, I could go on and on! Despite the fact that we stayed almost 6 hours on the border and dealing with customs (on the way in and out of the country), it taught me to see the beauty in people and in countries despite their political situation. I hope I never stop seeing the world with different eyes each time." 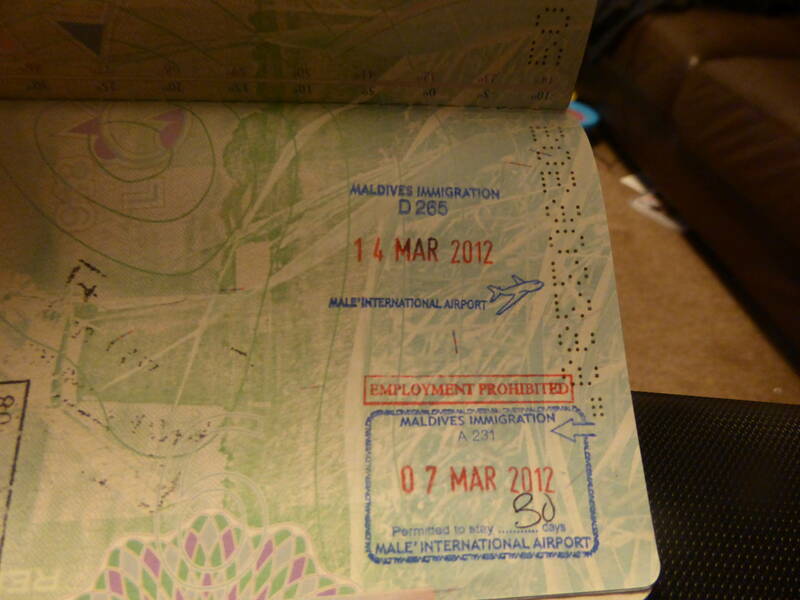 This passport stamp still brings a smile to my face. It’s the Maldives, where we visited in 2012. We went to celebrate a special anniversary. And to us, it was the holiday of a lifetime. I have never laughed so much or had such an amazing time anywhere else. And this was just an island in the Indian Ocean that we could walk around in forty five minutes. It was such a magical place that I could never return as I would never want to change my memories of our time there. Everyone should visit the Maldives at least in their lifetime. I just love this place so much! 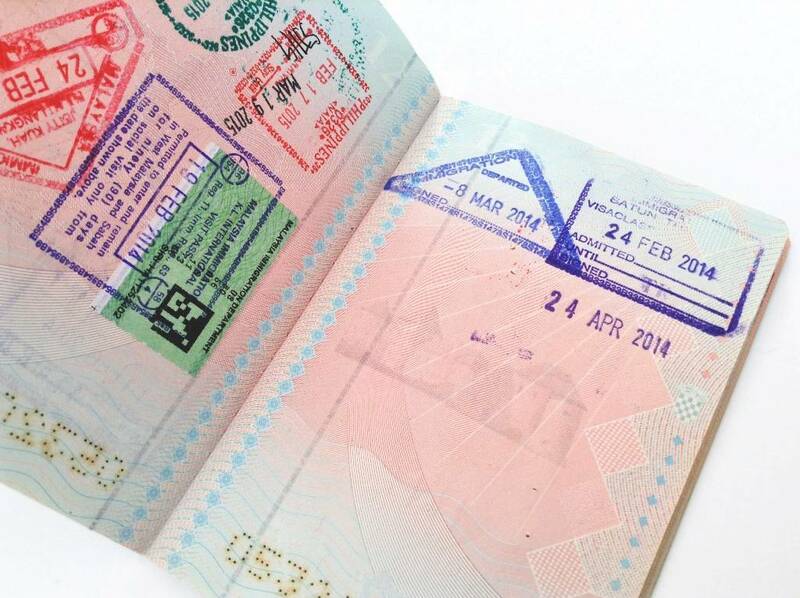 What is your most precious passport stamp or visa? Wow, all of these girls are some real adventurers! I loved Jordan's story about having this expectation of the place and that being completely turned aback, but slowly falling in love with what made the place so special. Great post! My favourite was a work visa for UK:) it was long time ago. 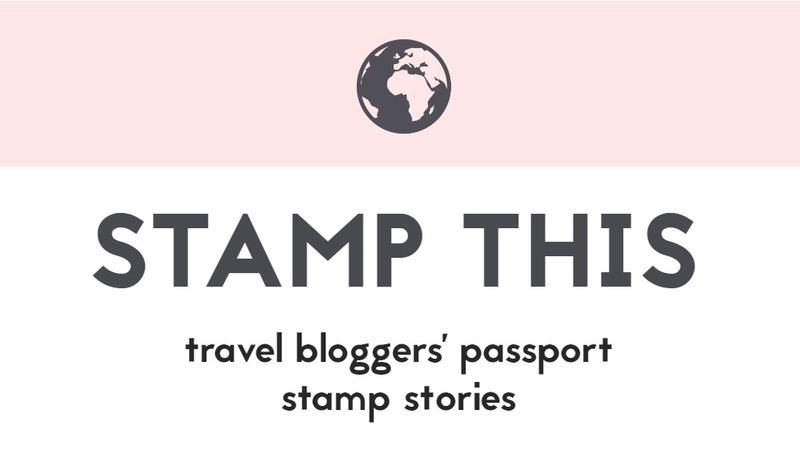 I love reading all the stories behind the stamps, so many amazing adventures! I really enjoyed reading these stories XD The last one makes me really really want to go to Maldives for sure!